“Art for all” is the motto behind Gilbert & George’s career, a belief that also defines how they approach their market. This autumn, to mark their 50th anniversary, the artists are unveiling 170 new Beard Pictures at their galleries in New York, Paris and London. Smaller satellite shows are planned for Brussels, Athens and Naples. 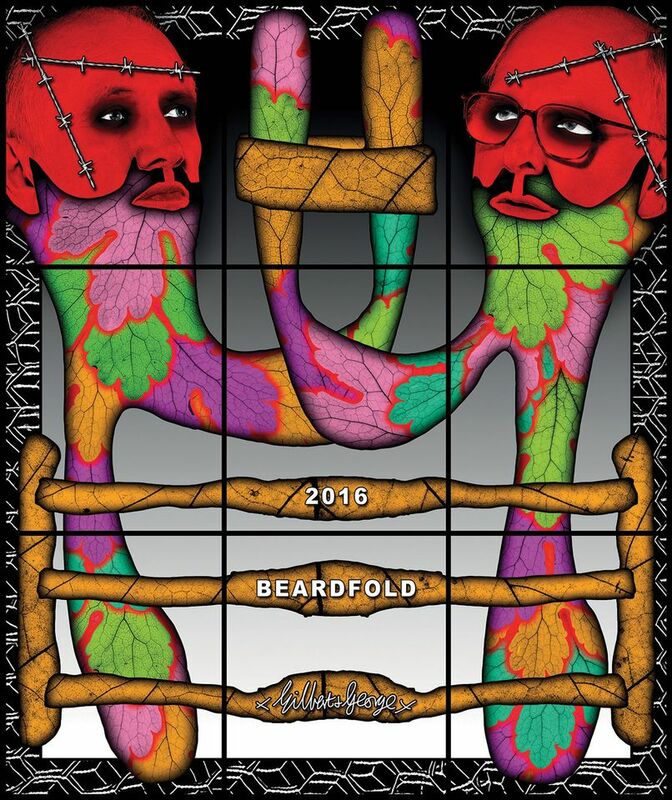 "You don’t need an art history degree to relate to a beard"
By keeping their market in check, Gilbert & George have also enabled smaller museums and foundations to acquire their work. The artists, who have had institutional shows around the world, including a large retrospective at Tate Modern in 2007, often create poster editions or produce their own catalogues to help museums finance exhibitions. Unsurprisingly, prices rise once a series sells out. “Early black-and-white or black-and-red pieces from the 1970s and early 1980s are much in demand and you won’t get much for under £1m,” Ropac says. The artists’ auction record, achieved in 2008, stands at £1.9m ($3.8m with premium) for a monumental black-and-white work from 1973. Alongside the Beard Pictures exhibitions, Lévy Gorvy in London, which does not represent the artists, is presenting The General Jungle or Carrying on Sculpting (1971). First shown in New York in 1971 at the Sonnabend Gallery, the group of 23 large-scale charcoal drawings has never been seen together in the UK. The exhibition is largely loaned, with works coming from MaXXI, Rome and the Sonnabend Collection Foundation, as well as from the estate of Nina Sundell and the collection of Antonio Homem, both Sonnabend’s children. A limited number of works are for sale, priced under $1m. In 2010, a single drawing from the series sold at auction for £337,250 ($526,377 with premium).